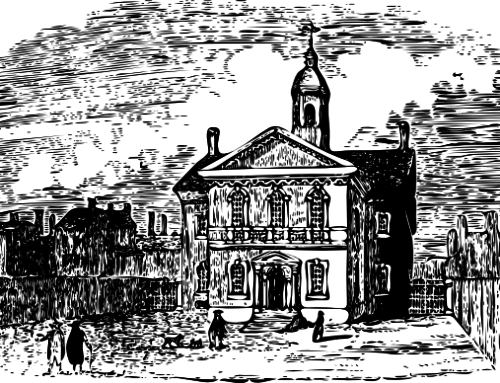 In the process of ratifying the U.S. Constitution, the most celebrated, lengthy and heated debate was held in the Virginia Convention which convened on 4 June, 1788 in the old State House in Richmond. Seeing that there would not be enough room to accommodate the 187 delegates and thousands of interested citizens, the convention moved to the Academy of Arts & Sciences on Broad Street on Richmond’s Shockoe Hill. In this clip from “Gods & Generals” General Thomas J. “Stonewall” Jackson gives his famous speech informing his men that VA has seceded from the Union & will soon have to fight because “The Lincoln administration has chosen to inaugurate civil war”. Leaving the Union: Could a State Successfully Secede Today?